AIA Austin is launching the AIA Austin Leadership Collective—a new program to support the growth of all AIA Austin members. The mission of this program is to support visionary, diverse leadership for a more sustainable, equitable future in our profession. The AIA Austin Leadership Collective aims to catalyze change by cultivating emerging professionals with the necessary support and guidance as the next generation of leaders to achieve successes in their professional careers, pioneer new endeavors, and grow community partnerships. Program content will build on the successes of similar leadership programs at other AIA chapters and will aim to complement existing AIA offerings in Texas. Monthly sessions will provide professional development training on a broad range of communications and leadership topics and will vary in delivery to promote both sharing of expert knowledge and opportunities for deliberate practice. Joint sessions open to allied member groups in engineering and construction will foster interaction across professions to strengthen participants’ networks and learned skills. 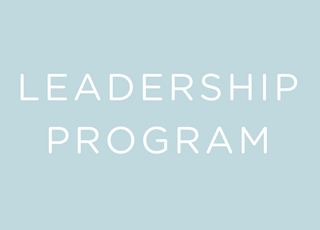 Donations to support the development of the leadership program are greatly appreciated, as are the insights and involvement of those with leadership expertise to share. If you would like to make a donation to the leadership program, click the link below. If you would like more information about the program or are interested in being involved in the development of the program, please contact Shelby Blessing.